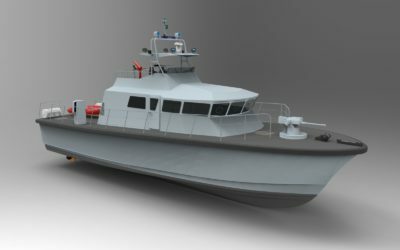 Semi-planing patrol boat based on a proven hull. Customizable to different requirements. 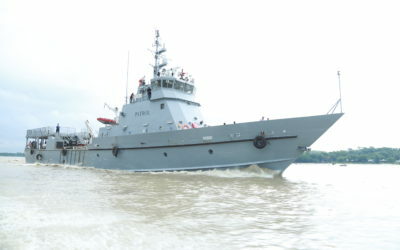 Fast attack craft with bow unloading of troops. Based on proven platform in service. Different configurations available in aluminium or GRP. 60 knot interceptor in GRP materials. 8 units in operations. Speeds up to 70 knots possible with different engines. 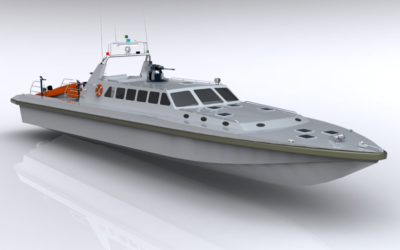 semi-planing hull patrol boat built in GRP and aluminium variants using inclined shaft FPP propulsion. Unique high-speed patrol boat fully fabricated in high-tensile steel. Available in armoured steel with 40 knots speed. High speed interceptor developed for police and anti-smuggling operations. Available with speeds up to 60 knots. 52 knot insertion craft with waterjet propulsion. Available in aluminium or GRP. 12 units in operation.